Fashion and Beauty Guide: Diptidiva1 Tuesday Tip: Do you really need a moisturizer in the summer? Diptidiva1 Tuesday Tip: Do you really need a moisturizer in the summer? The main reason for makeup melting on your face is due to it mixing with the oils secreted by your own skin and to add to that the sweat in a humid environment. A lot of us have oily skin and make the same mistake of changing our skincare routine for the summer and completing knocking of a moisturizer from it since we think that the oils in our skin are anyways moisturizer that is being thrown out by the skin. This is such a huge misconception. Our skin needs 2 moisturizers one an internal one- Water which provides hydration to the skin and the other for the surface of the skin which is exposed to dirt, pollution and our own cleansing & toning routine which takes away the natural moisturizer from the surface of the skin. This is no exception for those with oily skin; infact the skin tends to over produce oils due to lack of moisturization in the skin. Hence it is important to provide the skin the required moisturizer so than the skin does not get hyper active and secrete the oils in excess. However make sure the moisturizer you use is as per your skin type, cream based for dry skin and gel or water based for oily skin. Do not forget your skin type may also change as per the season. Some moisturizers from Body shop are mattifying too for eg. the Mattifying lotion from the Seaweed range for combination skin and the Tea Tree Skin Clearing Lotion. Make sure to moisturize your skin at night for sure and consume 8 glasses of water each day; this will maintain the elasticity of the skin and slow down the aging process therefore making the skin look healthy & glowing. 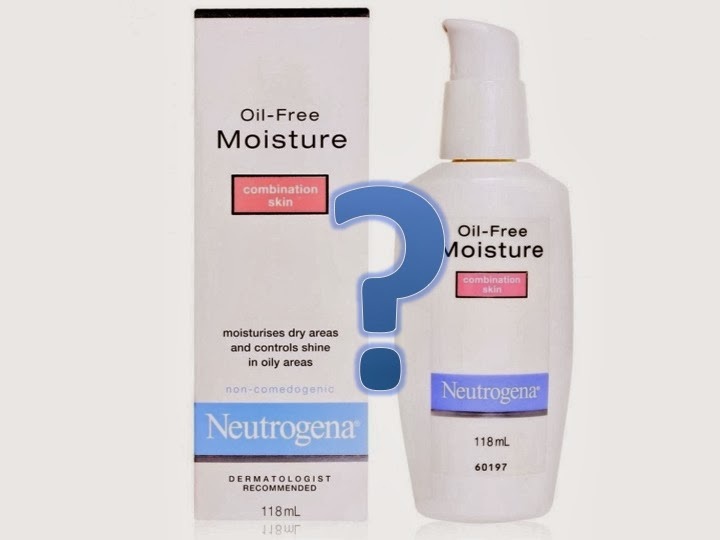 I use the neutrogena oil free moisturizer for combination skin, what about you? Hey Rashmi...hope I had realized that in my teenage years. Thanks Candy. Follow my blog for more such informative and fun posts :) Wud love to check out your blog! I love neutrogena products Shivi. I have heard the rosewater in the spray bottle from Fabindia is awesome...have u tried it?